Prime Minister Roosevelt Skerrit has reiterated his Government’s commitment to the country’s public officers. This as the Dominica Public Service Union hosted a rally of public officers to air concerns relating to salary and working conditions on Thursday. Prime Minister Skerrit said this week, public officers are hardworking, and Government continues to put measures in place to support them. 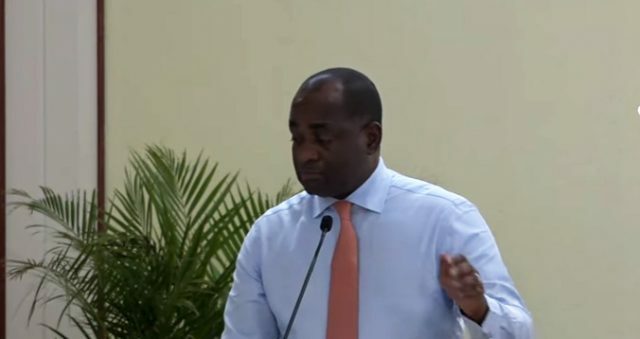 Mr. Skerrit on Wednesday announced a round of meetings with public officers starting with a meeting with the 150 junior clerks in the service which took place on Thursday at the financial center. There he announced that Government is moving to appoint 53 junior clerks in the public service. The Dominican leader also explained to the workers that many of their colleagues are not immediately confirmed in positions because of public service policies on how vacancies are filled.